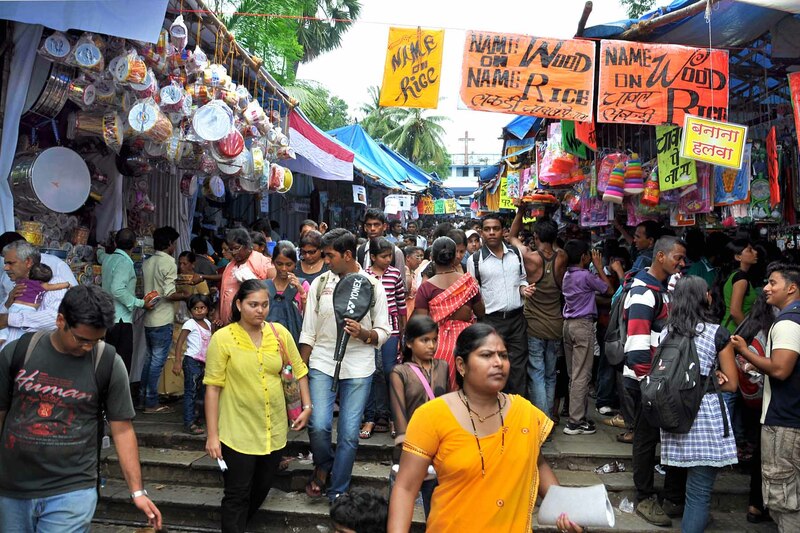 The term Bandra Fair refers to the celebrations that are connected with the annual Feast of Our Lady of the Mount on 8th September, known as the Feast of the Nativity (Birth) of the Blessed Virgin Mary. It becomes an important historical event, because with the birth of Mary comes “the dawn of our salvation”, since Mary’s Son, Jesus, would be the Saviour of the world. If Mary had not consented to be the Mother of God, to bear Jesus in Her womb there would have been no Redemption. Mary's answer of "yes" to the Angel at the Annunciation ensured mankind's deliverance from sin. We do not know the exact birthday of Mary, and so 8th Sept has been fixed by tradition. Devotees will therefore throng to the Basilica on this day; a shamiana erected for the purpose ensures that the pilgrims can celebrate Mass in the shamiana and then enter the Basilica to pay homage to Our Lady. But this feast is too solemn to be contained in a day! The official Feast is celebrated over an “Octave”, i.e. an eight-day day period, from the Sunday after the 8th of September to the next Sunday. And this eight-day celebration is preceded by a nine-day “novena” of prayer directed to the Virgin Mary. That makes the Bandra Feast last a total of 17 days! During the novena, the masses are both in the mornings and evenings; during the octave, masses are only in the mornings, leaving the Basilica free for “darshan” especially for those of other faiths. 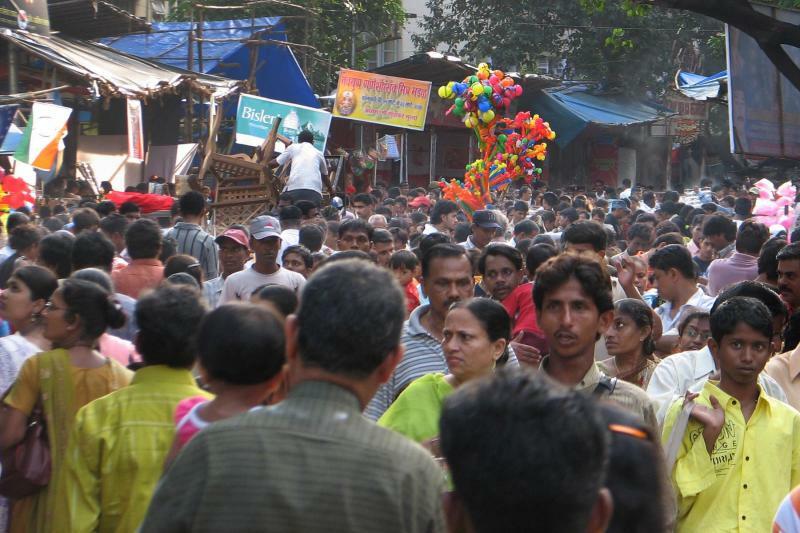 Besides the religious experience, Bandra Fair also includes the social experience of relaxing, camaraderie, alms-giving and enjoyment. After the religious rites have been performed pilgrims descend from the Mount in various directions, particularly using the Steps on the eastern side. The stalls on the way down offer pilgrims the opportunity to engage in a variety of relaxing activities. 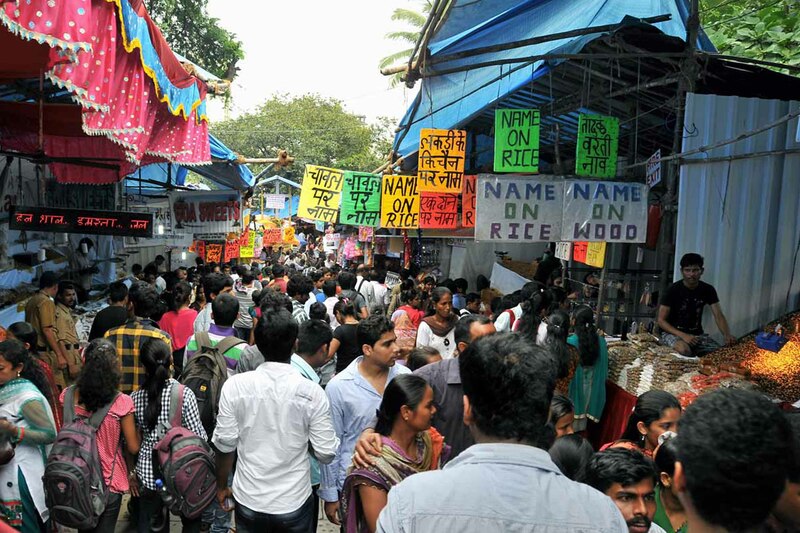 There is an atmosphere of fun as we go through the various stalls that constitute the Fair. The Fair is linked to the Shrine almost from its inception. Already in the 17th century, a Jesuit document of 1669 speaks of a popular celebration at Bandra. The Shrine started attracting devotees from all the surrounding areas who came by bullock carts and ferryboats across the Mahim creek. Early morning groups of jingling recklas (fancy bullock carts) arrived at the foot of the Mount in the light of lanterns. After a tiring journey from their respective villages to Bandra, it was not possible for the bullocks to pull the cart all the way to the hilltop. The devotees had therefore to park their carts and the bullocks at the foot of the hill, in the shady mango groves, where drinking water was readily available. Having attended to the needs of their bullocks and having refreshed themselves, they were now ready, in their festive best, to walk up the slope of the hill to worthily partake in the liturgical celebrations of the birthday of their heavenly Mother. And since it took some time to finish their spiritual obligations, it was not possible for them to return home on hungry stomachs. The pilgrims would now move down sipping tea at the stalls, eating snacks and enjoying the merriment. Though the devotees had gone up alone, they invariably came down, hand in hand, with their friends, relatives and acquaintances. As the late morning sun went up, the longings of the residents of Bandra to see their visiting relatives and friends mounted. Day after day, they waited eagerly to welcome these guests during the week-long celebration. The doors of the houses and the gates of the compounds were left open the whole day as a sign of an open invitation to their near and dear ones. 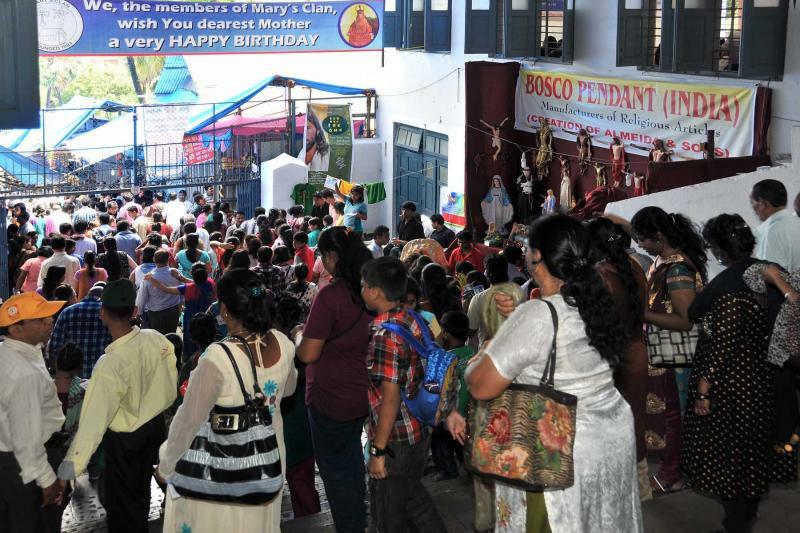 Fondly remembered was the old 'September Garden' located in the Mount Carmel Church compound, it marked the tail end of the fair and was the melting pot for festivities in the evenings. 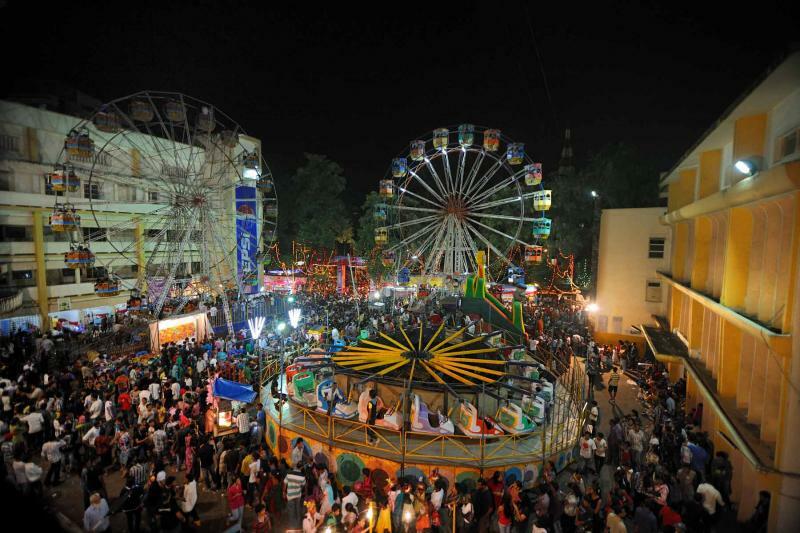 Thrilling rides, games of skill and attending 'Jam Sessions' (music and dance) was the highlight of youthful activity till late at night. 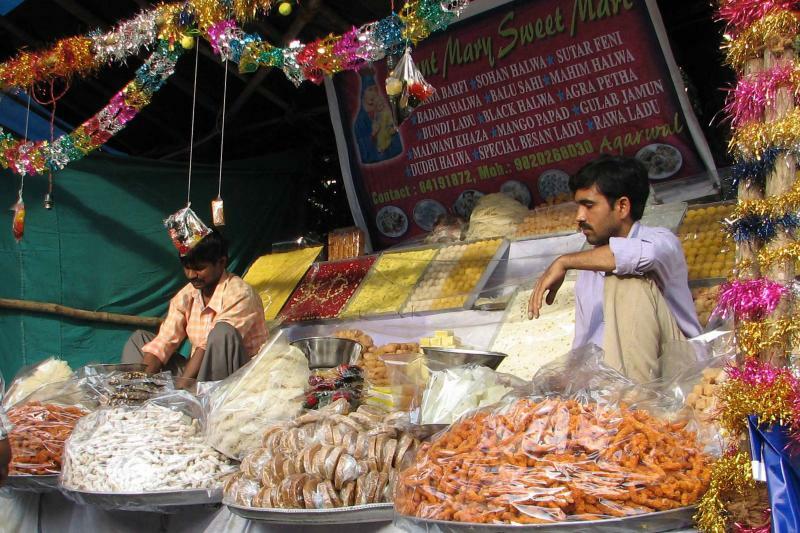 With an increase in the number of pilgrims, the type of stalls too greatly increased. It is true that the large influx of pilgrims in a given venue can become a disturbance for the local residents. 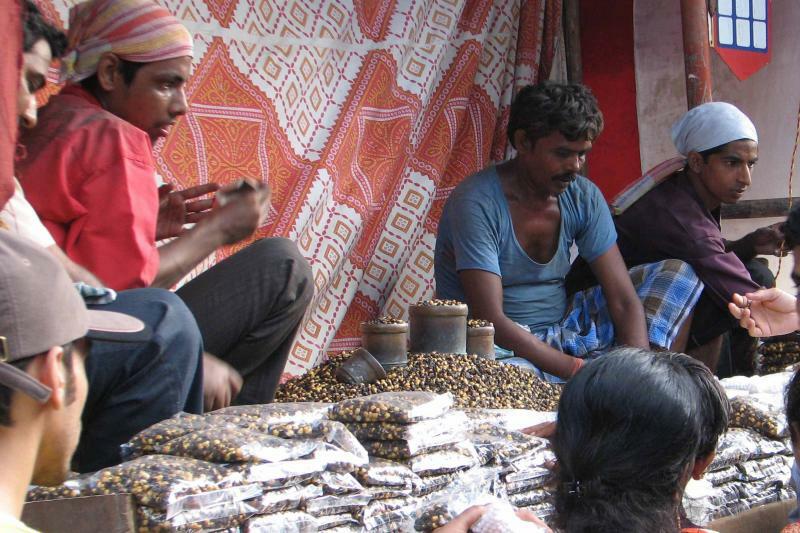 Each year there is an attempt to find solutions to this problem.